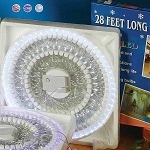 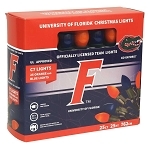 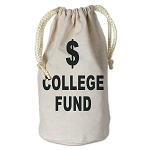 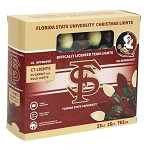 Show your true colors and unite your school and Christmas spirits this football & holiday season with a 25-foot electric strand of Texas A&M University Aggies C7 bulb string lights. 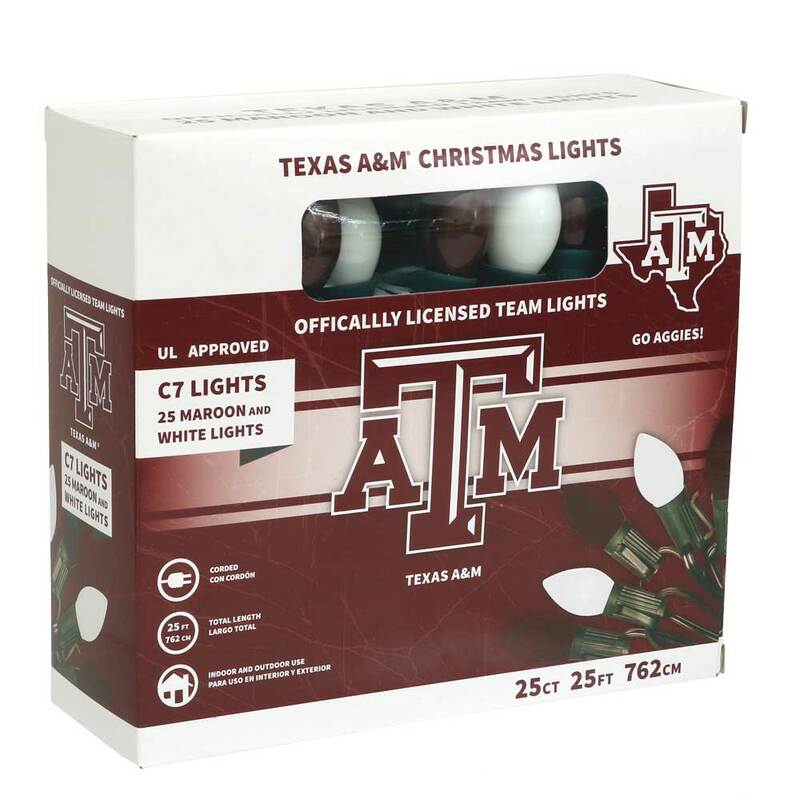 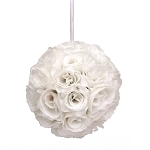 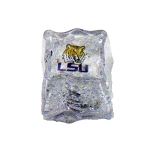 Whether you're decorating your TAMU Christmas tree, dorm room, office cubicle, or football party scene, this officially licensed set of 25 alternating maroon and white lights are specifically manufactured to match Texas A&M's team colors. 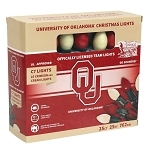 This Christmas tree light set features durable candelabra sockets with 2-inch long C7 glass bulbs in TAMU maroon & white (bulb globe: 1-1/2" L, socket: 1/2 L").